This book has special meaning to me as my Father William J. Hughes served in the 15th AAF B-17 20th Squadron, 2nd Bombardment Group, 5th Wing, Amendola Air Base, Foggia, Italy with Melvin McGuire. The book covers the period of time that my father was in combat and there is one mission when McGuire and my father are on the same plane. 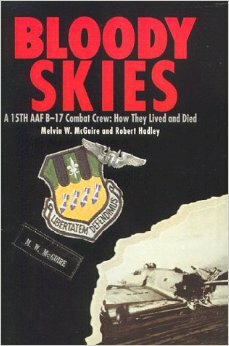 I highly recommend this book to understand the personal experience of B-17 crews in WWII.